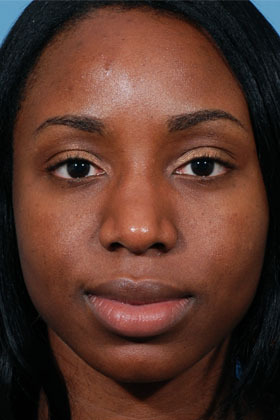 Because people of different ethnicities often have noses with distinct characteristics, Ethnic Rhinoplasty requires a highly individualized approach. At the Dallas Rhinoplasty Center, rhinoplasty surgeon C. Spencer Cochran, MD has extensive experience working with a diverse range of patients. With special sensitivity to the various aesthetic needs and preferences of African-Americans, Asian-Americans, Hispanics, and other non-Caucasians, our rhinoplasty surgeon can help to achieve results that harmonize beautifully with the facial features of virtually any patient. What Does Ethnic Rhinoplasty Involve? Like other forms of rhinoplasty, Ethnic Rhinoplasty is successfully accomplished by removing or reshaping the cartilage and bone beneath the skin. In some cases, cartilage grafts are added to help remodel the structure of the nose and enhance its overall appearance. The changes may be subtle or dramatic, depending on the needs and desires of each patient. 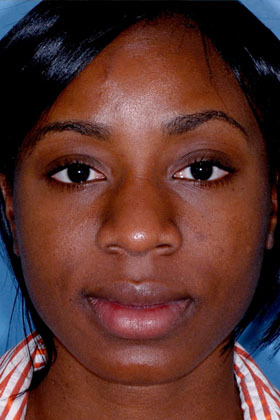 Common techniques used in Ethnic Rhinoplasty include augmentation (building up) of the nasal bridge, lengthening and refining the tip of the nose, and narrowing the base of the nostrils. These techniques can be used to improve the appearance of African-American, Hispanic, Middle Eastern, and Asian noses, while respecting and maintaining the patient’s ethnic heritage. Am I a Candidate for Ethnic Rhinoplasty? The rhinoplasty candidates section on our primary rhinoplasty page gives general information about what makes a good nasal surgery candidate. To realistically determine an individual’s candidacy for Ethnic Rhinoplasty, our rhinoplasty surgeon must be able to review his or her medical history, examine the nose, and consider the potential patient’s desired outcome. Even if you live far from the Dallas-Fort Worth area, the Dallas Rhinoplasty Center has provided a way to determine your candidacy. With the convenience of an Internet Consultation, our surgeon will be able to assess each patient’s individual needs and eligibility for Ethnic Rhinoplasty. To schedule a face-to-face consultation with a surgeon who has the specialized experience necessary to perform Ethnic Rhinoplasty, contact our Dallas, Texas office.